Due in large part to their growing populations and the increasing scarcity of conventional energy sources, alternative energy industries have begun to gain a foothold in emerging Asia. 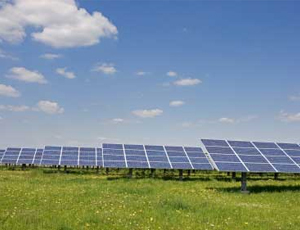 Of these industries, solar stands out as one with huge potential. The Indian government has already stated its intent to increase its solar capacity 30 fold by 2020, while ASEAN member states met late last year to discuss renewable energy as a solution to the region’s problem with a lack of electricity. In this article, we look at the potential of China in this industry. With 14 of the world’s 55 gigawatt solar panels installed in the country, China became the largest solar panel market in 2015. This rapid expansion of investment into solar energy can be attributed to the generous incentive programs that the country offers, as well as the government’s five-year plan to hit 100 gigawatt installations by 2020. Other studies, such as one conducted by Xinhua, forecast an even brighter outlook for the industry, with figures as large as 150 gigawatts by 2020 predicted. Revenue in China’s solar power generation industry rose at an annual rate of 145.3 percent between 2010 and 2015, totaling US$2.6 billion. This amount was largely spurred by rising household demand for electricity, which has caused several cases of power supply shortages in the past and brought exceptional demand for solar power generation. Environmental consciousness and pollution problems have also contributed to the want to shift from a reliance on imported fossil fuels to renewable energies. Under the twelfth five-year plan, the State Energy Administration made aims to increase solar power generation capacity from 860 megawatts to 21 gigawatts. However, China’s solar power resources and infrastructure are fragmented, and a more cohesive and developed distribution network will be required to efficiently utilize its solar power generation capability. China’s solar panel manufacturing industry has also been developing at a fast pace: from 2010 to 2015, the industry saw an annual growth rate of 2.4 percent, with revenue totaling US$29.8 billion. Over the same period, Chinese solar cell output has been increasing by 21.3 percent per year, with an estimated output of 27.6 gigawatts in 2015. Polysilicon solar panels are the most popular choice, as they are relatively cheaper and take less energy to produce. They accounted for the majority of the solar panel segment, making up 56.8 percent of total industry revenue in 2015. However, the conversion efficiency rate of polysilicon solar panels is only about 12.0 percent, whereas monocrystalline, which accounted for 28.6 percent of total industry revenue in 2015, converts between 15 and 24 percent. It is estimated that over 90 percent of China’s territory has the potential to support some form of solar power generation, and although China is the world’s leading solar panel manufacturer, over 95 percent of its panels are exported. Corporate investment in solar installations is met with generous policies and incentives. In 2013, the Chinese government introduced new feed-in tariffs (FITs), deployed at both state and provincial levels to fuel the growth of distributed solar rooftop installations. The central government currently provides 20-year subsidies of US$0.06 per kilowatt-hour of output from solar rooftop projects. For surplus power, RMB 0.40 per kilowatt-hour is awarded from the state grid, for any surplus power they generate. The National Energy Administration aims to deregulate the electricity market for small distributed solar generation, including rooftop projects. Projects producing fewer than six megawatts of energy are exempt from the application of a power generation license. Since 2014, a streamlining of payments and subsidies has existed to aid solar projects undertaken by individuals and private enterprises. Industrial and commercial entities setting up solar rooftop projects are offered a payback period of 7-9 years with an eight percent return rate. Two factors are combining to incentivize the Chinese government to strengthen the solar panel industry: increasing awareness of environmental pollution, and concerns over power supply and generation. While large solar power markets in Europe such as Germany and Italy begin to reduce subsidies for solar panels, endorsement in Beijing looks set to make China not only the leading manufacturer of solar panels, but also the leading buyer. Asia Briefing Ltd. is a subsidiary of Dezan Shira & Associates. Dezan Shira is a specialist foreign direct investment practice, providing corporate establishment, business advisory, tax advisory and compliance, accounting, payroll, due diligence and financial review services to multinationals investing in China, Hong Kong, India, Vietnam, Singapore and the rest of ASEAN. For further information, please email china@dezshira.com or visit www.dezshira.com. 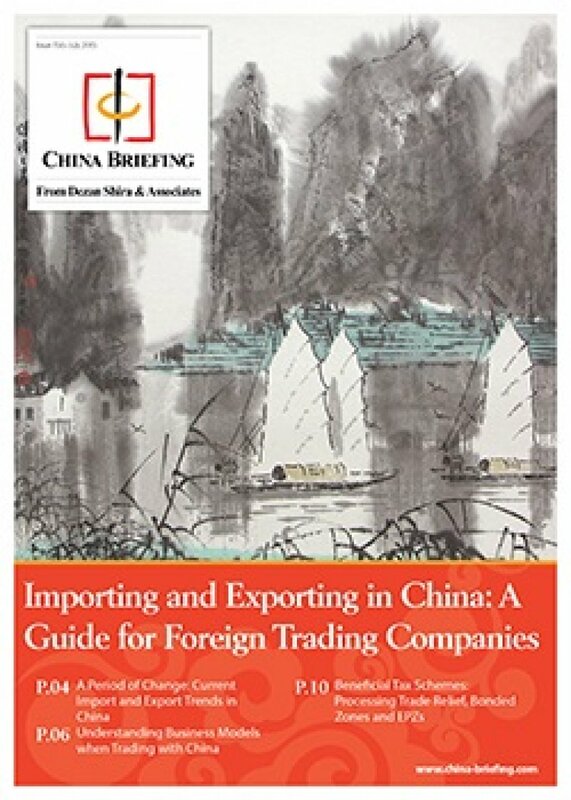 In this issue of China Briefing, we discuss the latest import and export trends in China, and analyze the ways in which a foreign company in China can properly prepare for the import/export process. With import taxes and duties adding a significant cost burden, we explain how this system works in China, and highlight some of the tax incentives that the Chinese government has put in place to help stimulate trade.